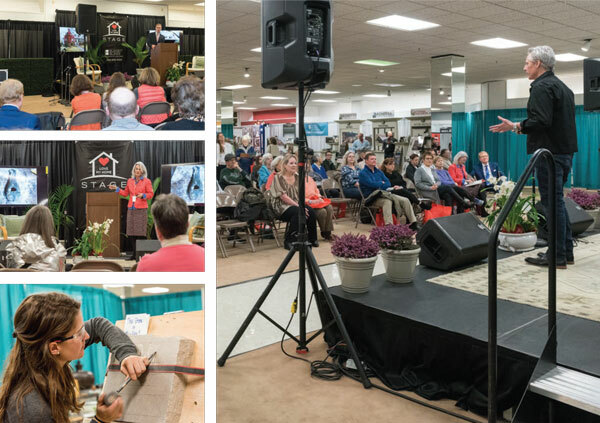 When Perry Payne Presents and HOME magazine asked me to participate in the 2019 Greater Lynchburg Home and Garden Show, I was honored and happy to say “yes,” not knowing of course what I was saying “yes” to. Whatever I was expecting or imagining paled when I stepped into the show space. An abandoned department store had been transformed into a series of professionally designed exhibit and education spaces, each staffed by friendly, personable and informative hosts. The warmth and hospitality inside stood in sharp contrast to the cold, rainy weather. I appreciated the stage and schedule of speakers. There were many subjects presented with ample opportunity for audience interaction. 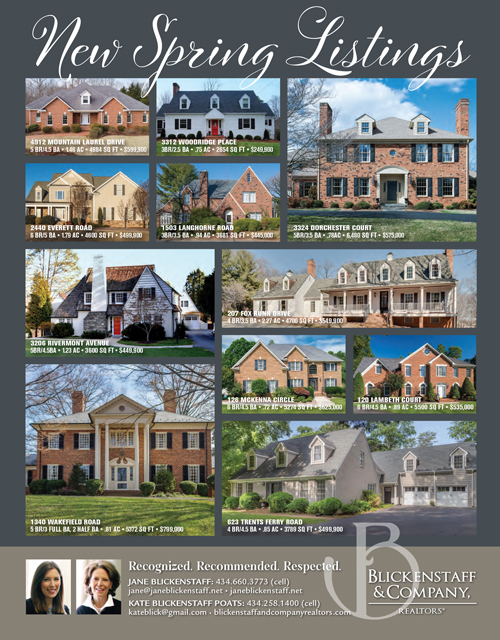 The exhibitors were some of the most seasoned experts in their respective fields, offering advice, products and services that could fulfill any homeowner’s needs. 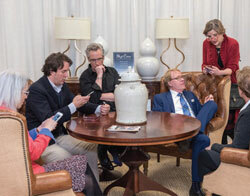 The relaxed pace afforded much opportunity for discussion, especially with our three out-of-town guests who generously gave of their time to travel to Lynchburg. Participating in the Home Show was a great way to connect with other local business and to introduce myself and my services to those who came to the event. John Pfifer Marrs was a delight to meet. It was not unexpected for this Texan and interior designer to exclaim his appreciation for “clients who are big thinkers. If they can dream it, I can decorate it.” He had marvelous advice and inspiration for all of us who find ourselves keepers of great Aunt Sally’s chifferobe and Uncle John’s collection of walking canes. The home expo surpassed our expectations! The amount of foot traffic was incredible, due to the quality and quantity of vendors and the affordable cost to visit, and it was lovely to meet people who had never been in our shop. We have had the pleasure of seeing many of them already coming into our brick and mortar, after seeing a sampling of what we offer. The seminars were very informative, and with so many people attending it was great to spread the word about “Designing on a Dime,” which we had the pleasure of putting on. We are looking forward to participating again, with great feedback from guests about how it was so good to have something like this back in our city! For their 2019 Honor Awards, it comes as no surprise that the American College of Building Arts (ACBA) recognized the legacy of Mayor Joe Riley and his impact on making Charleston, South Carolina, one of the best places in America to live and work. The Honorable Mr. Riley joined forces behind John Paul Huguley to create the American College of the Building Arts. As the construction industry changes, the old ways of building are threatened with extinction. There is a direct correlation between preservation and training of a new generation of “educated artisans,” as John Paul describes the graduates of ACBA. Some of these graduates were able to join John Paul in Lynchburg. I thoroughly enjoyed meeting the charming Daniella Helline and Cooper Ball of Charleston Rose Artisans. They generously gave of their time and expertise to provide me and others a tiny taste of stone carving. It was intoxicating! If a suggestion box is available, please receive our suggestion of bringing a “Chip and Sip” experience to Lynchburg. I’ll be first in line! Great show! I loved the programs, informational, fun and entertaining! We met a lot of people that we wouldn’t have had the opportunity to meet and reconnected with people too. It’s great when you can meet with people face to face! Last but not least, was Doug Wilson, of TLC’s Trading Spaces. Doug has a reputation for his dramatic and sometimes confrontational style, which certainly makes him a fan favorite in the world of reality television. However, for those who got to hear and speak with him in the intimate and informal setting of the Greater Lynchburg Home & Garden Show, we discovered so much more. From his childhood on an Illinois farm to his deeply personal connection to Ronald McDonald House Charities, we discovered that Doug Wilson is not someone you want to “trade spaces” with; rather, he’s someone you want as your lifelong neighbor and friend. The Home & Garden Show exceeded our expectations. We made 20 appointments and got at least 60 good leads. 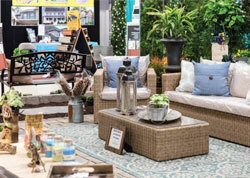 The Home & Garden Show knocked it out of the park in all categories! We made at least 15 appointments and have had many people call for appointments since the show. Very well done! All of the vendors and volunteers brought so much energy to the event. Personally, one of my favorite workshops was the “For What It’s Worth” antiques appraisal booth—a tiny “Antiques Roadshow,” right here in Lynchburg. We had the best time with visitors who brought in their treasures to discuss the pieces’ histories and to identify them. Some items’ legacies may remain mysteries, but we had great fun in identifying at least one of the items half of a sterling silver, antique claw-foot ice tong—who knew?! The Show benefited our business very much! We didn’t just get leads, we set 13 appointments which is better than the last three Roanoke shows. 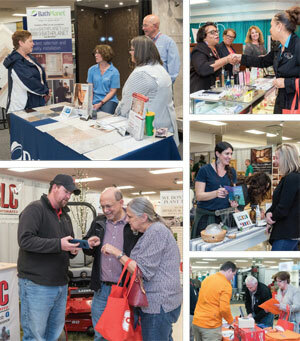 The Greater Lynchburg Home Show was an overall exceptional experience for my company. We set 15-20 appointments and have many leads to follow up with.